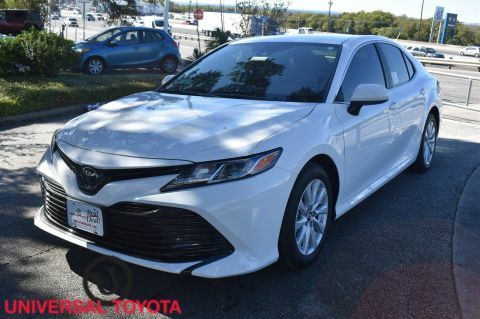 Wheels: 16 Aluminum Silver Metallic Painted, Variable Intermittent Wipers, Trip Computer, Transmission: Dynamic Shift CVT -inc: paddle shifters, Tires: 205/55R16 All-Season, Tire Specific Low Tire Pressure Warning, Tailgate/Rear Door Lock Included w/Power Door Locks, Strut Front Suspension w/Coil Springs, Steel Spare Wheel, Sport Tuned Suspension. 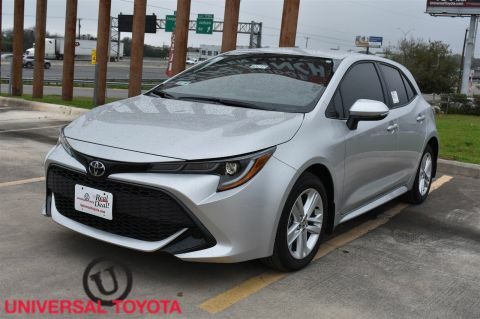 This Toyota Corolla Hatchback has a dependable Regular Unleaded I-4 2.0 L/121 engine powering this Variable transmission. 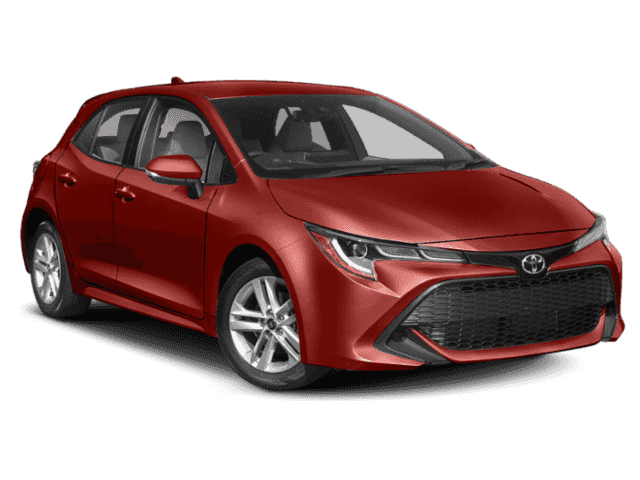 * Experience a Fully-Loaded Toyota Corolla Hatchback SE *Sport Front Seats -inc: manual adjustment front seats, Single Stainless Steel Exhaust, Side Impact Beams, Seats w/Cloth Back Material, Rocker Panel Extensions, Remote Releases -Inc: Mechanical Fuel, Remote Keyless Entry w/Integrated Key Transmitter, Illuminated Entry and Panic Button, Rear Cupholder, Rear Child Safety Locks, Radio: Entune 3.0 Audio -inc: 8 inch touchscreen, 6 speakers, Siri Eyes Free & Apple CarPlay compatible, Amazon Alexa enabled, Entune 3.0 app suite, safety connect, Wi-Fi connect powered by Verizon, Scout GPS link compatible, aux port and USB media port, AM/FM, voice recognition training and tutorials, hands-free phone capability, voice recognition and music streaming via Bluetooth, customizable home screen and weather/traffic info via Entune 3.0 app suite, Radio w/Seek-Scan, Clock, Speed Compensated Volume Control, Steering Wheel Controls and Radio Data System, Proximity Key For Doors And Push Button Start, Pre-Collision System w/Automatic Emergency Braking (aeb), Power Rear Windows and Fixed 3rd Row Windows, Power Door Locks, Power 1st Row Windows w/Front And Rear 1-Touch Up/Down, Perimeter Alarm, Outside Temp Gauge, Outboard Front Lap And Shoulder Safety Belts -inc: Rear Center 3 Point, Height Adjusters and Pretensioners, Multi-Link Rear Suspension w/Coil Springs. 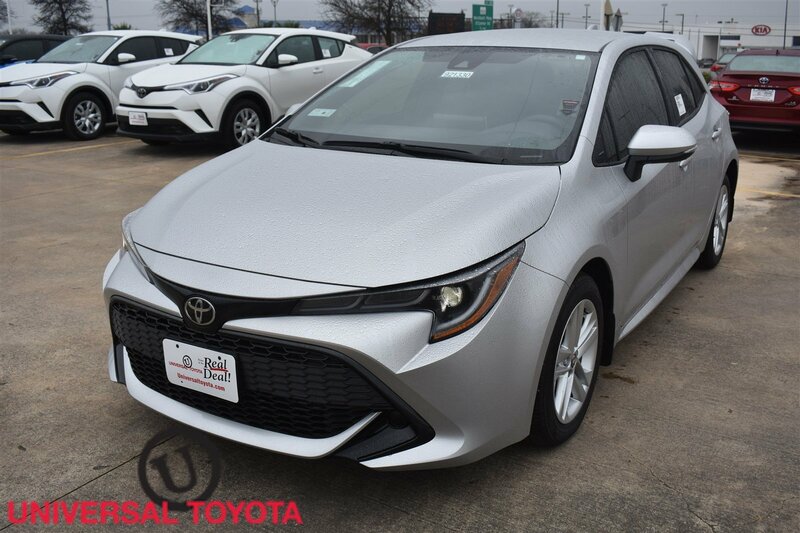 * Visit Us Today *Live a little- stop by Red McCombs Universal Toyota located at 12102 IH 35 North, San Antonio, TX 78233 to make this car yours today!